Despite the incredible promise of treating cancers and other diseases with targeted kinase inhibitors like Gleevec, the success of this approach has been limited and populated with more failures than triumphs. So why the high rate of failure? This is clearly not the fault of chemists, as numerous highly selective and potent kinase inhibitors have been developed against desired kinase targets. Moreover, the evolution of allosteric kinase inhibitors has largely reduced the problem of kinase “gatekeeper” mutations as an obstacle to treatment. “Off target” complications with non-selective inhibitors, has in some cases, been largely eliminated by the development of highly selective, covalent inhibitors like ibrutinib. Instead a more compelling case can be made for our lack of understanding of the biology of the response, with recent evidence illustrating the dynamic and resilient nature of the kinome. The concept of rapid kinome remodeling has now been accepted as a potential limiting factor to the effective application of targeted kinase inhibition. Highly selective agents like trametinib, vemurafinib, ibrutinib and others have been shown to reshape the kinome through changes in feedback inhibition, epigenetic adaptations and paradoxical kinase activation. Elucidating these adaptive responses is critical to improving the effectiveness of targeted kinase inhibition. Additionally, much the kinome remains to be characterized, with a large fraction of the kinome, the “dark” kinome, potentially contributing to these responses. Full characterization of these kinases may lead to improved combination therapies. Lastly, mutations in PLC gamma and other non-kinase enzymes, continue to emerge as additional complicating factors. In short, as quoted by Jeffrey Goldblum in Jurrasic Park- “Nature finds a way”. If this is true, even novel strategies like targeted degradation (dTAG) of select kinases, are doomed to fail. Despite these dismal predictions, there remains hope for the inhibition of kinases as an effective treatment of disease. This is because kinases remain one of the most druggable classes of enzymes and the necessary chemistry to accomplish this is firmly established. Advances in proteomics and genomics technology, has greatly facilitated our ability to elucidate adaptive kinome responses, including the essential epigenetic and genetic mechanisms. In the future, analysis at the single cell level will be a reality. Finally, as we learn more about these compensatory biological responses, and the characteristics of the dark kinome, advanced technologies such as artificial intelligence will undoubtedly improve our predictive powers to identify optimal inhibitor combinations, including those against non-kinase targets. This is also expected to assist our efforts in “repurposing” promising kinase inhibitors for diseases that they were not originally intended for. 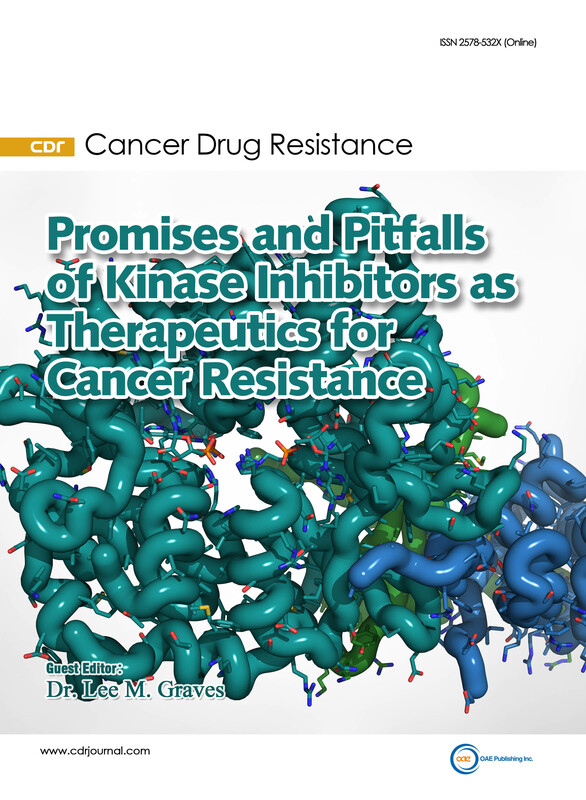 In summary, the objective of this series is to explore the current successes and failures, and discuss the future directions of kinase inhibitors as a means of treating cancer and other diseases.